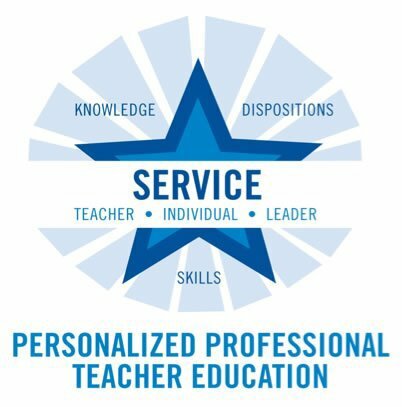 The Personalized Professional Teacher Education model was created to illustrate the concept of the process that moves the individual through levels of learning and personal awareness of their roles as individual, teacher and leader. We view learning as an active, personal and cognitive process. This model illustrates the faculty commitment to responsive, individualized teaching. Candidates are actively involved in their own learning and continually assess and evaluate their own progress as they pursue their individual teaching goals. They acquire knowledge, skills, and experience while enhancing and refining the dispositions deemed appropriate for professional teachers as they develop their potential to become empowered individuals and educational leaders. The Teacher Education Program of Oklahoma City University is hosting an accreditation visit by the Council for the Accreditation of Educator Preparation (CAEP) on April 7-9, 2019. Interested parties are invited to submit third-party comments to the site team. Please note that comments must address substantive matters related to the quality of professional education programs offered, and should specify the party's relationship to the provider (i.e., graduate, present or former faculty member, employer of graduates).